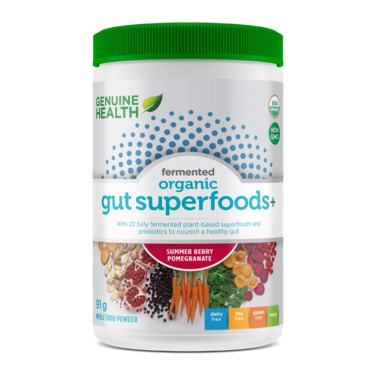 Genuine Health Fermented Organic Gut Superfoods+ is a collection of 22 fully-fermented plant-based superfoods and prebiotics that nourish a healthy gut ecology. It’s food for your gut! The Ultimate prebiotic gut super food. With 22 Fully fermented plant-based super foods and prebiotics to nourish a healthy gut flora. A rich source of prebiotic fiber. 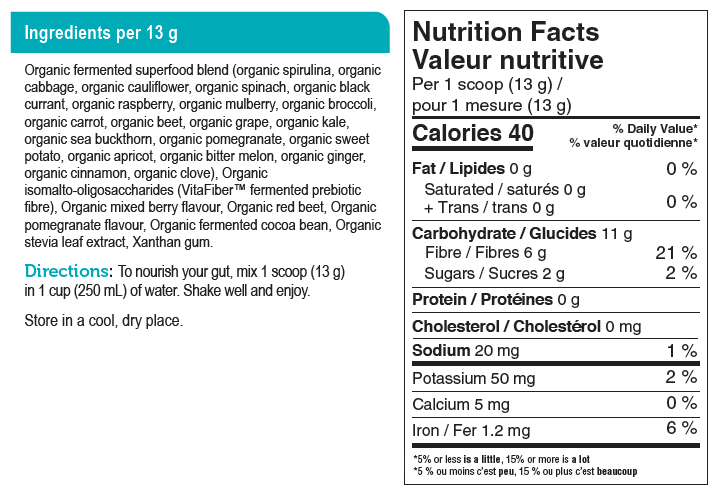 Fermented to provide a grade source of amplified and concentrated plant nutrients for gut and overall health. 100% vegan, gluten-free, soy-free and dairy-free. Encourage growth and activity of gut bacteria, enhance production of beneficial short chain fatty acids, which help to acidify the colon and prevent the growth of "bad" bacteria. Can help to regulate digestion and relieve constipation.